This article was originally published Aug. 2016. It was updated Jan. 2018. Healthy fast food used to seem like an oxymoron, but no more. Noticing a gap between fast food joints like McDonald's and Taco Bell and high-end restaurants like the ones reviewed by Zagat, more than a few entrepreneurs and chefs have jumped in to fill that space—often offering seasonal and local ingredients in a healthier package, but without the wait time or price tag (or frills) of their upscale competitors. It's no coincidence that the number of healthy fast food restaurants is on the rise. Backed by funding and big plans, quite a few chains are busy expanding into the Bay Area, even as new one-off spots open. When you're looking for a fast and healthy dinner, check out some of these delicious options. And if we missed your favorite, add it in the comments. 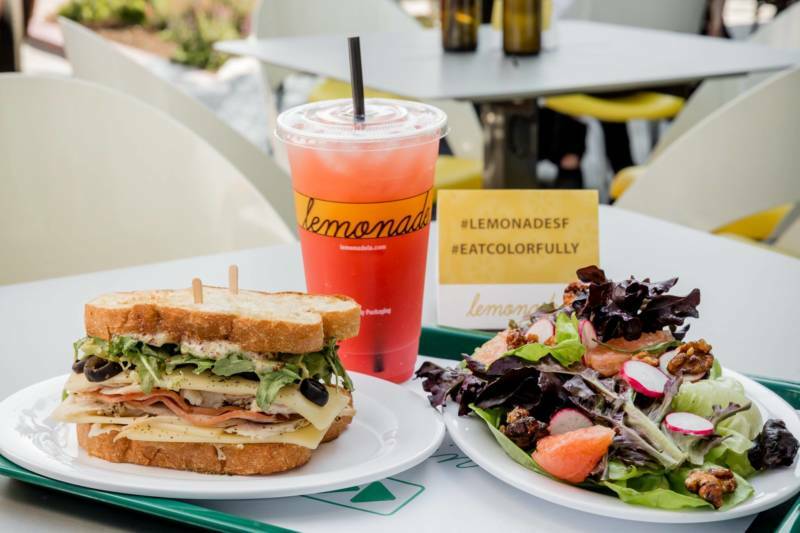 Lemonade (Multiple locations): A SoCal classic, Lemonade expanded into the Bay Area this summer with three restaurants in Yerba Buena, Palo Alto, and Burlingame—and three more coming. The food will be similar to the L.A. locations, which offer ready-made dishes with local ingredients in a cafeteria setting. Go down the line and pick out your sides, meat, soups, sandwiches, and desserts. A warning: It may be fast, healthy, and tasty, but you'll want to just keep adding things to your order as you go—and those prices can add up too. 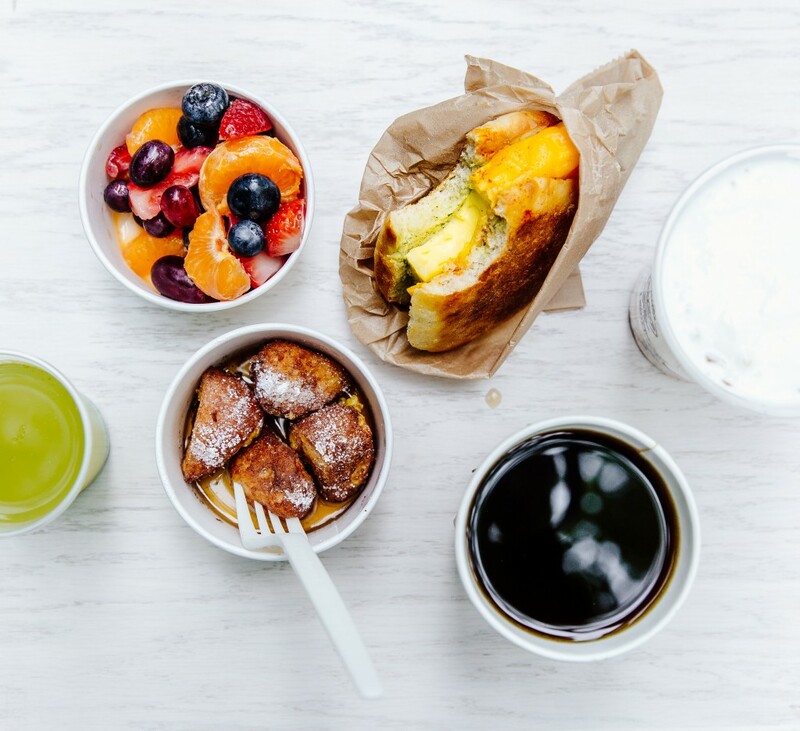 Panera (Multiple locations): It may be known as a bakery—and the muffins and pastries are certainly excellent—but Panera also delivers fresh sandwiches, salads, smoothies, and entrees like mac n' cheese or yogurt and granola for breakfast. While the menu at its dozen Bay Area locations does change occasionally, this is first-and-foremost a soup and salad stop. Get your soup in a bread bowl for the full bakery flavor. Pluto's (Multiple locations): Started in the Marina back in 1995, before the healthy fast food craze took hold, Pluto's can seem older and less trendy than its counterparts, but the food is just as good. (And inexpensive.) Today there are nine locations, with four in the Bay Area. Primarily known for its salad bar and carving station, Pluto's also has sides like mac n' cheese and house-made desserts. Walk down the cafeteria-style line to make your custom salad and plate, or order from the space-themed menu. Urban Plates (Dublin and Pleasant Hill): Another native of Southern California, Urban Plates has moved north with two locations so far. Urban Plates also operates a cafeteria-style line-up of sides, main dishes, salads, and braises. The sides tend to rotate with the seasons, while the main dishes feature things like grass-fed steaks and local pork ribs. Notably, Urban Plates also offers local beers and wine. And is well-known for its large dessert and pastry selection. Lyfe Kitchen (Palo Alto): A national company, Lyfe Kitchen has two South Bay spots. Launched by two former McDonald's executives, the company has big ambitions to bring sustainable and nutritional fast food to the masses. (Frozen food company Luvo was a spin-off of Lyfe.) Menus vary seasonally and regionally, but in California expect to see flatbreads, salads and soups, and plates, like roasted salmon or chicken penne. Order at the counter and then your food is brought out, with entrees costing about $11-15. LocoL (reopened West Oakland and opening San Jose): Though LocoL has just one location in the Bay Area, off Broadway in uptown Oakland, there are plans for more spots to serve up a unique style of fast food. The food is semi-classic fast food—burgers and bowls—but with a twist, as you'd expect from the founder of Kogi BBQ. The idea is that for just a few dollars you can get delicious and community-based healthy food made from good ingredients. And also French toast holes. Smart Alec's (Berkeley): [CLOSED] Smart Alec's slogan is "intelligent fast food." And that's pretty much what it delivers: smart burgers, salads, and sides. While it started as primarily a vegetarian restaurant, Smart Alec's has a range of burgers now (turkey, beef, chicken, veggie) and salads. There are still extensive vegan and vegetarian options, like the popular eggplant melt. The location is right next to Cal's campus, so it can get crowded with students, but once you order the wait is quick. Tip: try the very tasty cornbread. Eatsa (San Francisco): Eatsa drew headlines for its automated, robot-driven approach to service. But the food isn't to be missed either. In the mornings, you can pick from options like egg scrambles or quinoa oatmeal. 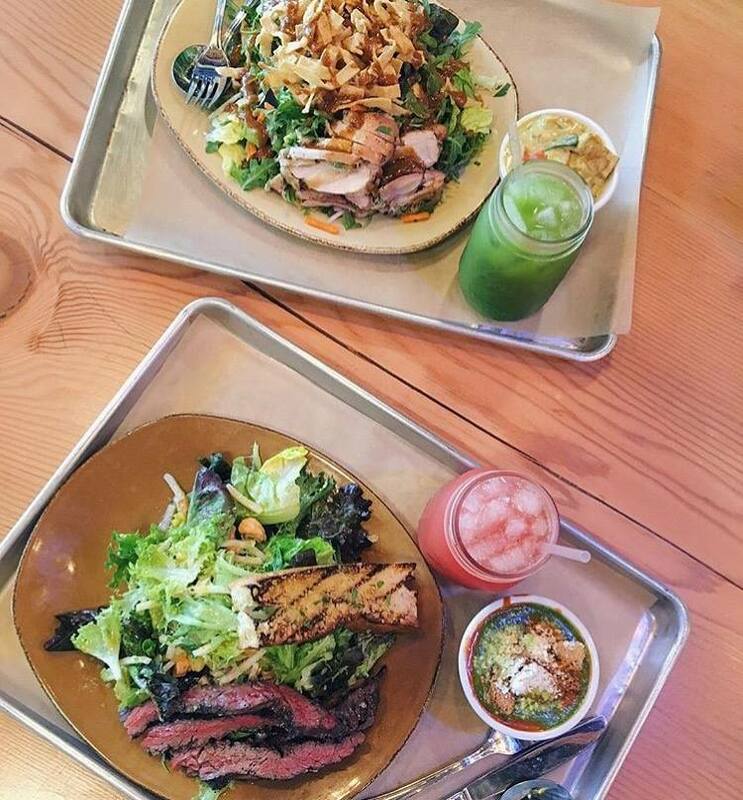 For lunch, select a salad, curry, or quinoa bowl -- all for $6.95. After you place your order on an iPad, wait for it to be served up in a cubby, like a vending machine. Asian Box (San Francisco, Mountain View, Burlingame and Palo Alto): The Vietnamese fast food restaurant has three Bay Area locations and two in Southern California, with new spots coming soon in the Marina and Burlingame later this year. (And plans for seven more Asian Boxes.) The menus will vary slightly, with some offering a cocktail menu, but the fundamental idea remains the same: a sustainable street food with local sourcing of ingredients. Build your own box starting with rice, noodles, or salad, and add beef, pork, chicken, tofu, and a range of toppings and sauces.